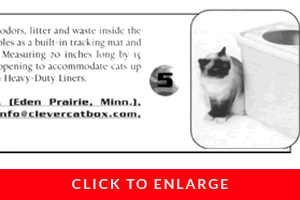 $5.00 Flat-Rate shipping per each "Litterbox/Lid/Base" and/or "Litterbox/Lid/Base plus Liners (1-roll to 10-rolls) Combo"
TOP ENTRY = NO MESS! Absolutely No Training Necessary! 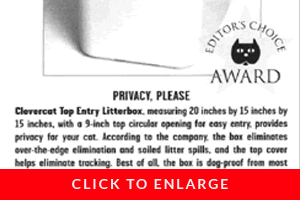 Insert optional Clevercat® jumbo liner if desired. 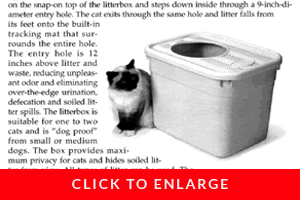 Add 2" to 4" cat litter. For initial use, add a small amount of your cat's feces/urine. Use without the lid on the first day and begin to use a lid on the second day. 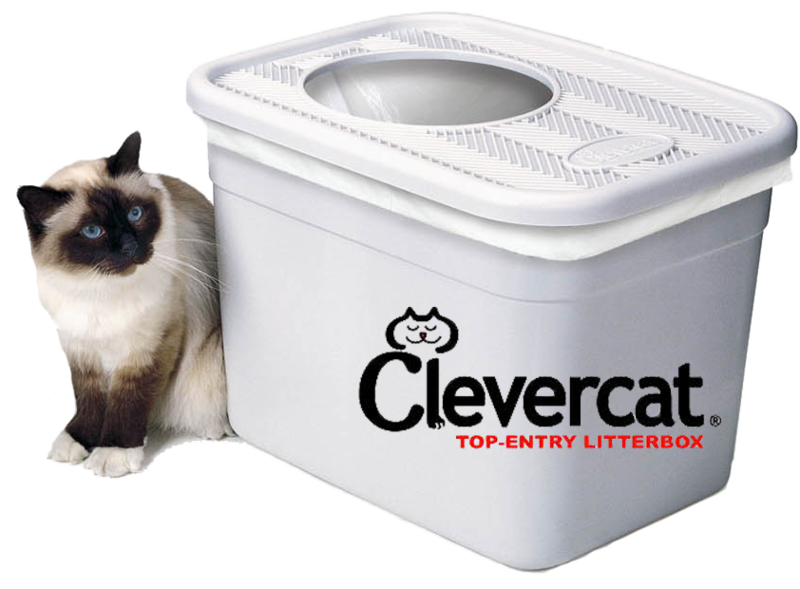 Most Importantly: Cats are intelligent and curious by nature and will instinctively understand how to use Clevercat®. NEVER disturb your cat during its litterbox use! Clevercat® Products Proudly Made in the USA!